Sam’s practice is focused upon clients in transition. He helps them with acquisitions, debt restructuring, refinancing, workouts and turnarounds. Sam represents both healthy and troubled companies. These solutions have included: sales inside and outside of bankruptcy, refinancing, workouts, Chapter 11 reorganizations and compromises with state and local taxing authorities. He also counsels individuals and companies in wealth protection strategies. Sam represents municipalities and the organizations with which they do business. His experience includes general obligation bonds, tax increment financing bonds, private/public partnerships, utility rate adjustments, annexation, redevelopment grants and general regulatory matters. Sam also represents companies before taxing authorities and regulatory agencies. His experience includes the defense of DEA initiated civil forfeitures, tax audits and tax collection. Sam is a member of the American Bankruptcy Institute, the Indiana State Bar Association (2014-2015 Chair of the Bankruptcy and Insolvency Committee) and the Indianapolis Bar Association. He is also the treasurer for the Indiana Association for Corporate Renewal. Sam is a frequent author and lecturer on financing and restructuring topics. He is certified in business bankruptcy by the American Board of Certification and serves as one of its directors. He is admitted to state and federal courts in Indiana. Sam currently serves as a director on the boards of Music for All, a national music advocacy organization based in Indianapolis and Big Brothers, Big Sisters of Central Indiana. He has also advised, on a pro bono basis, Art With A Heart, the Ebenezer Missionary Baptist Church, Partners in Housing and Trusted Mentors. Sam has helped several not-for-profit organizations obtain 501(c)(3) status with the Internal Revenue Service. He regularly helps boards and board members of troubled charities navigate their problems while protecting their officers and members. Sam is recognized by Best Lawyers in America® for Bankruptcy and Creditor Debtor Rights, Insolvency and Reorganization, Tax Litigation and Controversy and Banking and Finance. 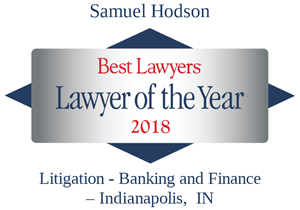 He was honored by Best Lawyers® as "Lawyer of the Year" in the Indianapolis market: in 2018 for Litigation-Banking and Finance, in 2017 for Litigation-Bankruptcy and in 2016 for Litigation and Controversy-Tax. 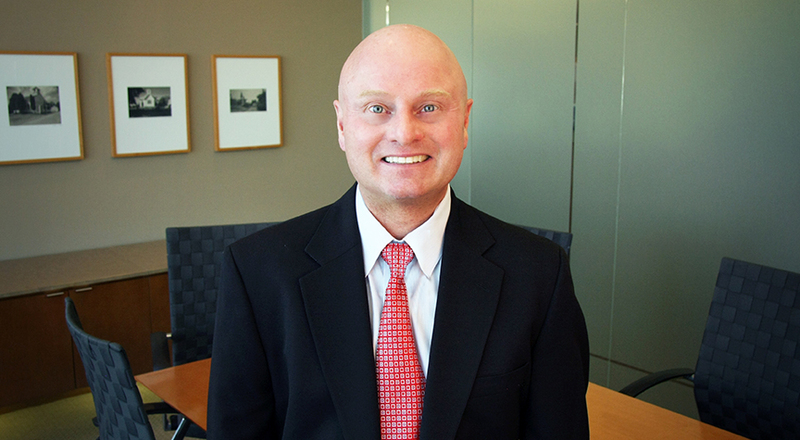 He has been recognized as in Indiana Super Lawyers for Bankruptcy and Creditor Debtor Rights since 2010. He has also earned an AV Peer Review Rating from Martindale-Hubbell and was recognized in 2017 as “Platinum Client Champion”.